When it comes to the Oscars, never underestimate the power of a good cry. It seems as though at least one big weepie makes the Best Picture cut every year—Brooklyn, The Theory of Everything, Philomena, The Help. And indeed, fresh out of the Toronto International Film Festival, two films just had their big premieres to major kudos that just so happen to be of the tearjerker variety. Lion is what appears to be The Weinstein Company’s major horse in this year’s Oscar race, with Gold and The Founder also on the table for later in the year. It’s based on the true story of a young man named Saroo who became lost from his family in India at the age of five and was subsequently adopted by an Australian family. As a five years old, Saroo could not correctly explain where, exactly, he was from, and thus all hopes of finding his family were lost. As an adult, however, the advent of Google Earth provides Saroo with a unique opportunity, as he sets about finding his long lost family once and for all. Lion marks the feature directorial debut of Top of the Lake helmer Garth Davis, and indeed he proves mighty skilled at crafting this feel-good story without sacrificing artfulness for easy melodrama. Cinematographer Greig Fraser (Rogue One, Foxcatcher) captures some stunning images as Davis lets the story unfold linearly, with a large chunk of the film following Saroo’s becoming lost and wandering India as a young child. 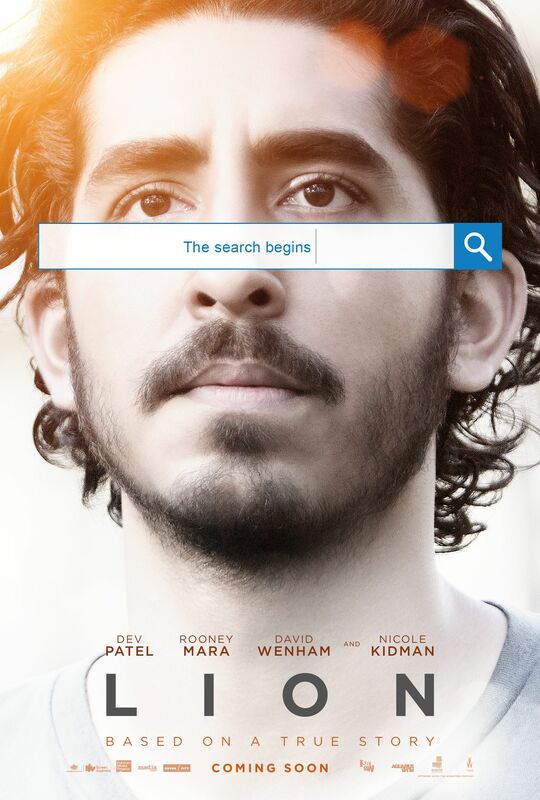 As the grown up Saroo, Dev Patel delivers a damn fine performance that could launch him into the Best Actor conversation, and Nicole Kidman turns in solid work as his adoptive mother that very well could net a Best Supporting Actress nod—she has one really teary scene that could seal the deal. Indeed, as the film unfurled during its world premiere (where I was in attendance) the tears started flowing towards the latter portion, and Davis and his cast took the stage as the credits rolled to a rousing standing ovation. While I’ll admit the film left me and my colleague Matt Goldberg a little cold (it’s overlong and a tad tedious), it’s an undeniable crowdpleaser and could hit just the right spot for the Academy to be a serious player in the Best Picture race. I wouldn’t count Davis out of Best Director contention either, alongside Fraser’s cinematography and a hauntingly beautiful score by Dustin O’Halloran and Hauschka. And if thing hits big, Luke Davies could be in contention for Best Adapted Screenplay. 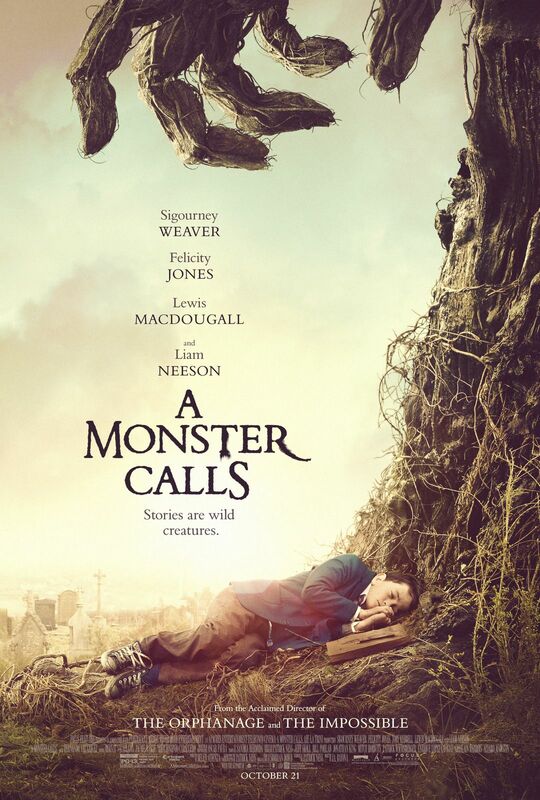 And then there’s A Monster Calls. 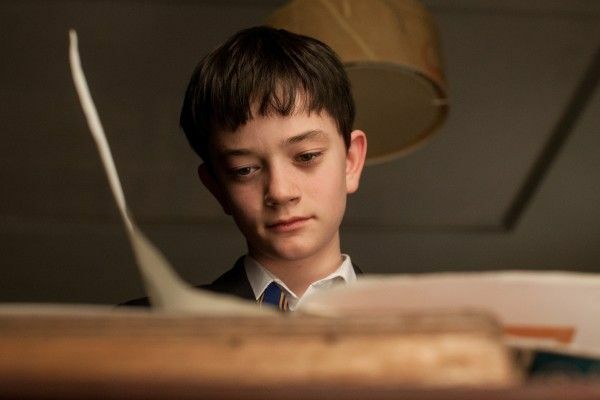 This adaptation of the Patrick Ness book of the same name is more overbearing with its emotional gut-punch, but that’s kind of to be expected from a drama about a young boy trying to process the grief he has for his dying mother. The story of the film finds the boy visited by a giant tree monster (voiced to perfection by Liam Neeson) who asserts that he’s going to visit the boy each night and tell him three stories, at the end of which the boy will tell a true story of his in return. Over the course of the film, The Monster helps the boy understand and process his grief, but not without many, many tears in turn. J.A. Bayona, the filmmaker behind The Impossible and The Orphanage, crafts his best directorial effort to date with a magnificent balance of the film’s fantasy and serious drama. Felicity Jones is excellent as the boy’s mother, and the boy himself is played by newcomer Lewis MacDougall in a huge breakout performance. Some critics at TIFF have said that A Monster Calls is too heavy handed with its handling of theme—I disagree, but it will be interesting to see how critics at large feel about the film when it starts getting widely reviewed. It certainly has the potential to be a breakout commercial hit as long as families will hopefully flock to this fantasy weepie over the Christmas holiday, but Focus Features will have to play this one extra carefully given that fantasy is not normally the Academy’s forte. The world premiere screening of A Monster Calls here in Toronto also got a hefty standing ovation, with the crowd reduced to a puddle of tears, and if the Academy really takes to this thing it could be a serious player in many races. Best Picture is entirely possible, and if the Academy is feeling generous about acknowledging vision and drive, Bayona could find himself a Best Director candidate. Jones also has a very good shot at a Best Supporting Actress nod, and consideration in the technical categories is certainly possible from Production Design to Sound. Not that the two are mutually exclusive, but between Lion and A Monster Calls it feels like the former may have the slight edge, assuming reception from critics is mostly positive. It’s a true story, it has a crowdpleasing ending, and it’s just non-traditional enough to rise above the fold (think Theory of Everything and Imitation Game). It also has the benefit of Harvey Weinstein in its corner, who is very hungry for an Oscar win after being shut out of the nominations in last year’s ceremony. A Monster Calls, while the superior film in my opinion, may have to overcome cries of it being “manipulative” (spoiler alert: all movies are inherently manipulative, that’s their purpose) and will need to get on the radar of Oscar voters who are wary of anything genre-y even though, at heart, this thing is a grief drama. We’ll have a much better idea of both films’ chances as they begin their rollouts in earnest—Lion opens on November 25th and A Monster Calls doesn’t hit theaters until December 23rd—but as of right now, they could be two of the biggest “Movies to Watch” coming out of TIFF. Moreover, aside from awards, they’re both well worth seeing. For now, I’ve broken down how I see their nomination chances lining up at this incredibly early stage below—subject to change, of course. To catch up on all of our TIFF 2016 coverage thus far, click here.